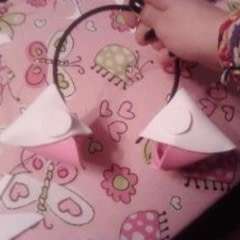 Realistic fox ears for costume or cosplay! 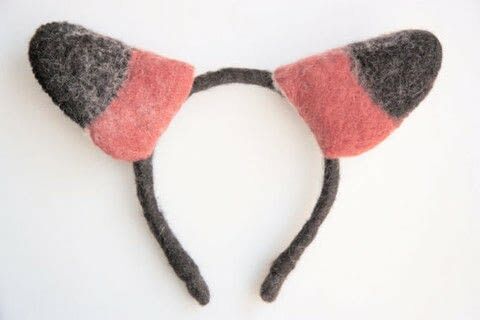 These needle felted fox ears are life sized and totally adorable! I ordered some gorgeous wool in the colors I wanted and they sort of just came together in a perfect blend. 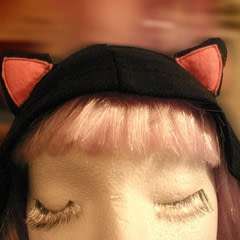 I ordered some reasonably cheap headband bases and used needle and wet felting techniques to cover the band which took a few days to complete. 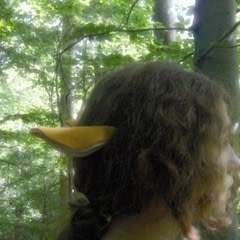 The ears themselves took between 3-4 hours, and were made in layers so I could sew them together (because needle felting). 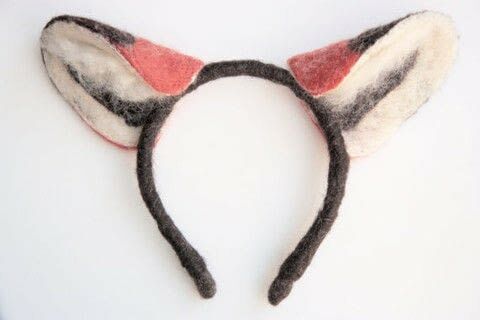 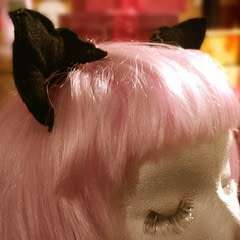 The blanket stitch gives these otherwise realistic looking ears a charming handmade touch that I love.